It is a large, wonderfully spacious and comfortable 3-room apartment in the historic heart of Krakow. It can comfortably accommodate from 3 to 8 people. There are two bedrooms and a large living room (one double and one single in each room and sofa bed in the living room for two people). At your disposal you have a spacious modern fully equipped kitchen (gas stove, coffee maker, electric kettle, dishwasher, toaster, microwave, cutlery, crockery etc. ...). Nearby you will find museums, galleries, churches, theater, cinema, entire streets lined with shops, hundreds of cafes, restaurants, pubs just steps from the Market Square. Just around the corner you have the tram stop from where you can reach any part of the city, including the train and bus station. An ideal base for those wishing to visit the city on foot as well as those looking for nightlife. The apartment is well equipped to meet the needs of each guest. All rooms have wireless internet access. There are two bathrooms, one with the shower cabin also equipped with a washing machine and the second separate bathroom with a toilet. If you have any questions do not hesitate to ask me ... I speak French and see you soon in Krakow. There are two. The large white bathroom also equipped with a shower cabin, washing machine and a second room with WC. I can help you organize tours at Salt Mine or Auschwitz. 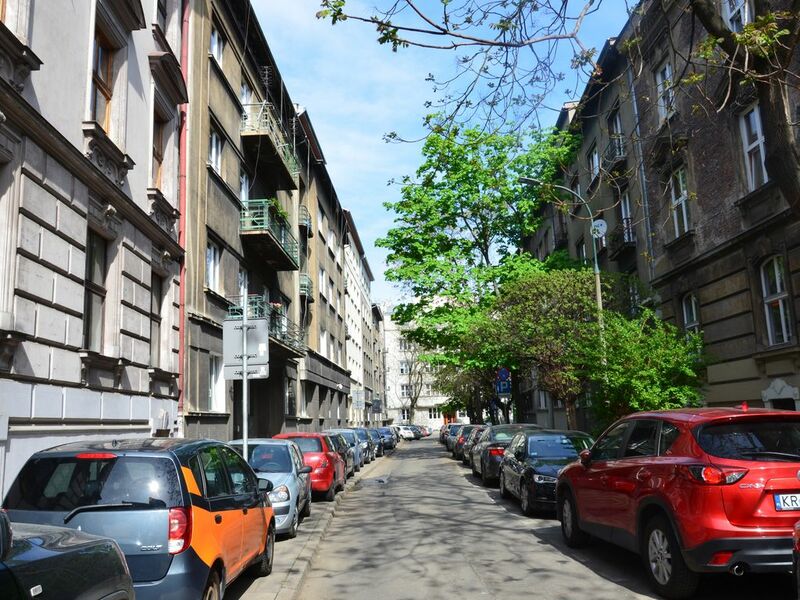 To walk to the Market Square, is only 5 minutes, 15 min Central Station, 10 minutes, to Wawel Hill and Szeroka street in Kazimierz - 25 minutes, from Kazimierz to Schindler factory - 25 minutes. You can therefore walk to the major tourist attractions of our city in a quarter of an hour walk. Museum of Jewish History and Culture in Krakow located in the oldest Jewish religious building preserved in Poland. Presents a small but poignant collection of old photographs of the Jewish Ghetto in Podgórze and the Płaszów concentration camp. Collegium Maius- The University Museum is the oldest university building in Poland. It contains rare astronomical instruments of the sixteenth century that we think were used by Nicolas Copernicus. Czartoryski- Museum the oldest museum in Poland, it is said to have the most splendid collection of Krakow art dating back to the 13th-18th centuries.